Read more about the security and ID badging industry. I personally have been in the security business for over 25 years. Now more than ever, clients are looking for assistance defining what solution will meet or exceed their needs. Whether those needs are well defined at the present moment or not, clients are looking for a solution provider to help fine tune their requests in line with today's level of technology and their needs while making the intended solution blend into their interior or exterior building aesthetics. 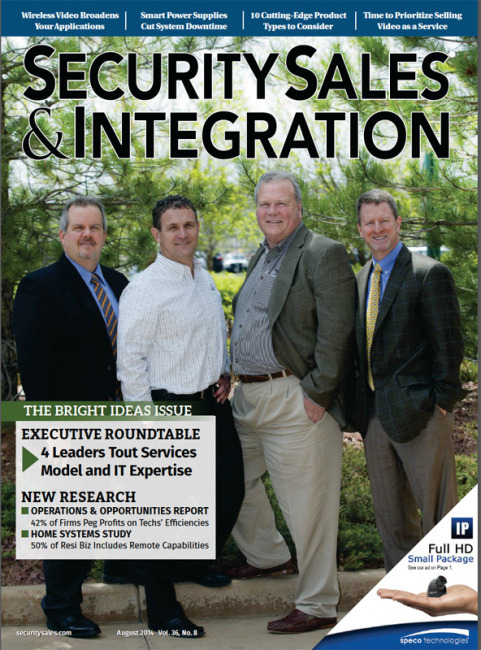 The changes in the systems integration industry over the last several years have been mind-boggling. But any consternation over what’s happening can, with a little imagination, be turned into new avenues of recurring monthly revenue (RMR). 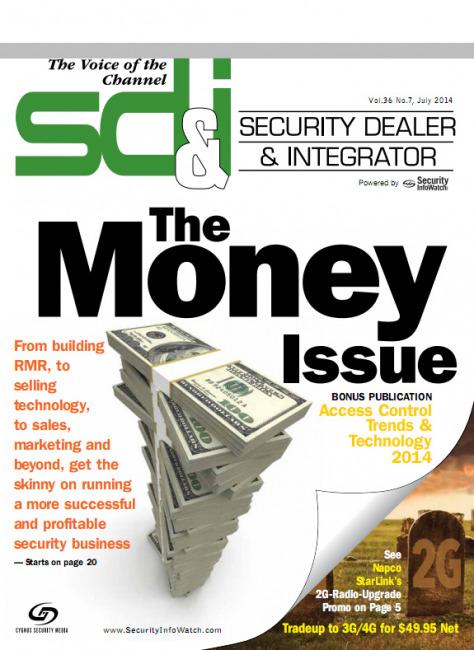 It is not just the traditional systems integration industry that has been affected. Every low voltage discipline — from contractors who play in the residential sound space, to IT providers who focus on network controls and infrastructure — is facing dwindling hardware profit margins. 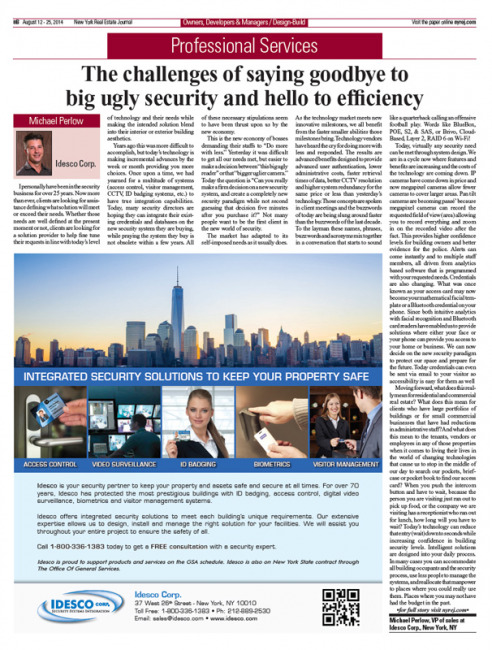 Idesco Corp. has opened a new showroom in New York City to provide customers with live demos of its key security products. The integrator offers a wide array of security solutions, including ID card printers, video surveillance cameras, access control systems and software. NEW YORK, NY Few companies with- stand the test of time like Idesco Corp. The New York Real Estate Journal sat down with its princi- pal, Andrew Schonzeit, to discuss how. 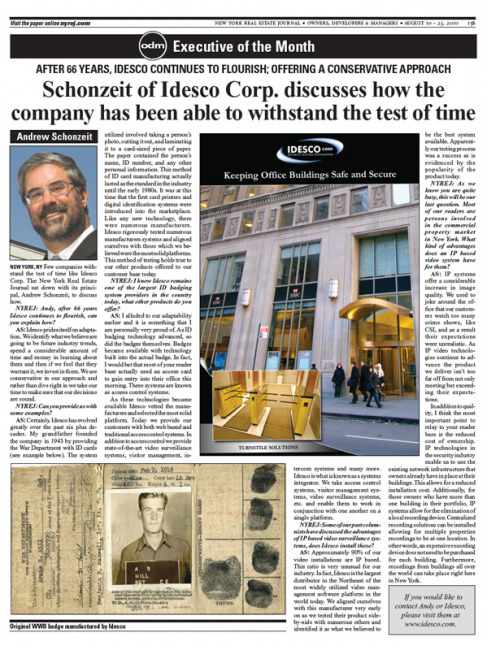 NYREJ: Andy, after 66 years Idesco continues to flourish, can you explain how? AS: Idesco prides itself on adapta- tion. We identify what we believe are going to be future industry trends, spend a considerable amount of time and money in learning about them and then if we feel that they warrant it, we invest in them. We are conservative in our approach and rather than dive right in we take our time to make sure that our decisions are sound. 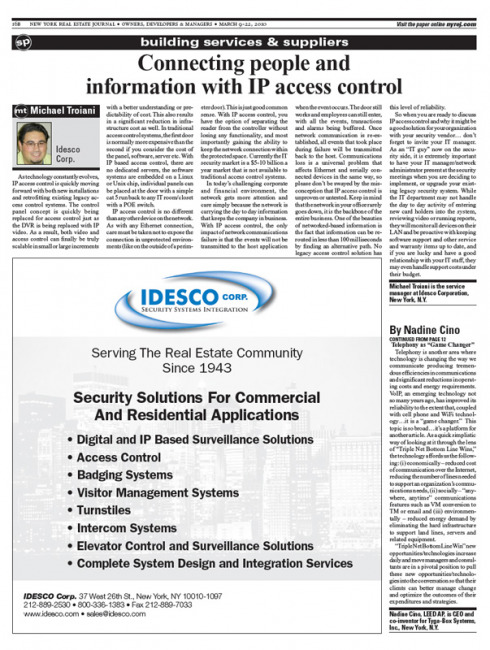 As technology constantly evolves, IP access control is quickly moving forward with both new installations and retrofitting existing legacy ac- cess control systems. The control panel concept is quickly being replaced for access control just as the DVR is being replaced with IP video. When the Egged bus company, the national bus company of Israel, wanted to develop a badge that would allow company officials, employees, and their families to ride some bus routes free of charge, they also wanted to ensure that the badges would not be misused or duplicated by others.